What's the downside to bigger tires? Re: What's the downside to bigger tires? 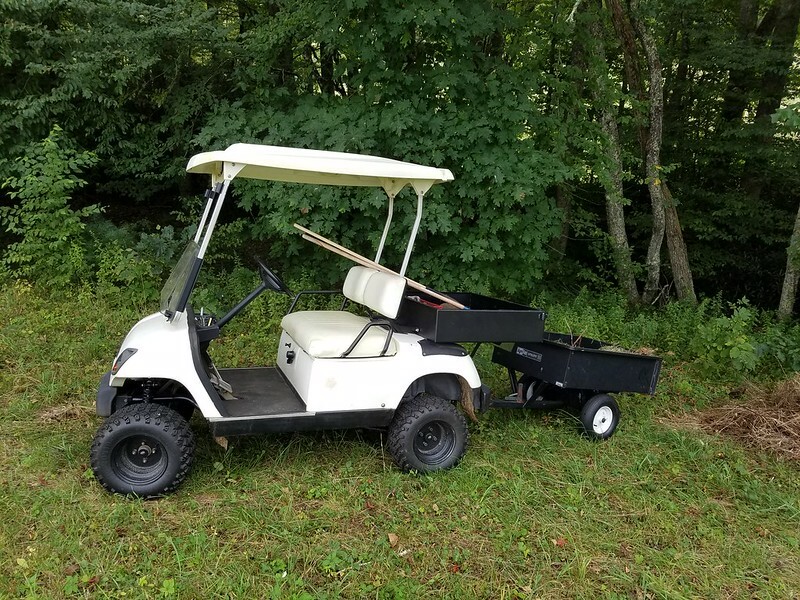 My yard cart, 4" Steeling lift and 20x10-10 Sahara Classics. I have a '98 36v electric with 22" tires. I do have a 400 amp controller. It has plenty of power to take a load up a hill; I have a receiver hitch on the back and use it to pull trailers around as well. In case you didn't know ScottyB is the man for electric upgrades... if needed.